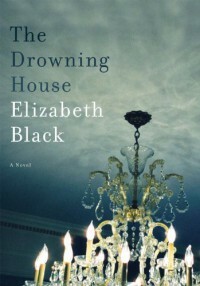 This review was originally posted at The Bawdy Book Blog/ˌmēdēˈōkər/AdjectiveOf only moderate quality; not very good: “a mediocre actor”.Which perfectly describes The Drowning House by Elizabeth Black. After suffering a personal tragedy, Clare Porterfield decides to meander across the country back to Galveston Island, Texas, in her decrepit station wagon, leaving her husband behind in Washington, D.C. She’s been offered the opportunity to direct a photography exhibit about the Island, and uses the chance to try to reconnect with an old “friend,“ as well as research local lore about Stella Carraday, the girl who drowned during the great hurricane of 1900.I did like The Drowning House, please don’t mistake my rating for not liking it. It was a captivating interesting novel, with an interesting setting and interesting characters. While reading, I did feel like I could step into the pages and feel the hot blast of heat off the sandy beaches, or reach down from the rails of a fishing boat and stroke the top of a stingray. Black’s writing is gorgeous.But the writing, while fluid and beautiful, is too meandering for me to hold my attention. I believe it took me three weeks to finish The Drowning House and that isn’t a good thing. A good book needs to grip me, it needs to rip me from my seat by my collar and command me to pay attention and dance. The Drowning House is kind of like the meek guy at the really fun party; you see him out of the corner of your eye and if you pay attention, you know he’s pretty cute, but he’s not interesting enough to go talk to.I did not feel like I got the point of the book, either. Was it about finding out what happened to Stella, or was it about finding Patrick, her long-lost best friend, or was it about reconciling with herself her rotten childhood (and why it was so rotten)? Maybe it was all these things, but I never did feel like the focus was on one of them enough to truly make me pay attention to the story. At best, I wasn’t bored, I just wasn’t interested.What’s truly maddening is the outcome of the book: I was not in any way satisfied, and left with more questions than I had going in. Like how do you not get incarcerated for shooting someone? Dude. The ending made me feel like there was no real ending, or objective for Clare, just that I was along for the ride of her story for a little while. A little frustrating.The characters themselves are interesting and pretty profound. All of them have many different sides, as well as stories, to have kept me interested enough to continue reading. If it wasn’t for the characters, I would have quit reading it very early on.This is a book for the dedicated and die-hard Southern Gothic/Mystery fans. Otherwise you may want to check out other reviews before you consider purchasing. **The publisher provided this copy in exchange for my unbiased review.